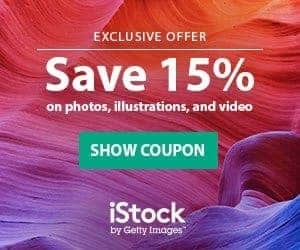 Bigstock is offering a great fall deal! Buy any credit package and get 6 additional credits for free! For credit purchasers this is great news. If you buy a credit package of 6 credits you can double your purchase now! Sign up for Bigstock today, purchase your credit package for as little as $12 USD and you will double your investment! If you take advantage of this deal from Bigstock, you can decide how you want to use your free credits. The best deal is to use your free credits towards small royalty free photos and get 6 additional photos for at no cost to you! This in addition to the low cost per image price Bigstock already offers. If you need medium sized photos, you can download 3 medium sized photos using your 6 free credits if you require a larger photo. Free credits have the same rules as purchased credits and are valid for up to one year from the date of purchase. If you don't use them now you have 365 days to decide when to purchase photos through out the year. All credit packages can be accessed for up to one year from the day you purchase your package from Bigstock making this an even better deal! Bigstock has a great image section titled ‘Be Inspired' where designers, bloggers or graphic artists can look through relevant and new images that can help you on your next project. If you like a photo, you can download just one photo on their pay-as-you system, or use your credits. Even more inspiring is that browsing is for free, so use this gallery to inspire your next project through the browsing option. 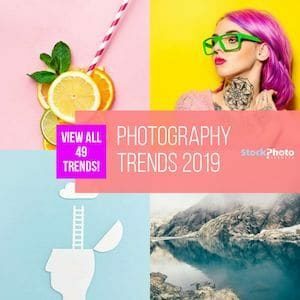 Bigstock is has over 8 million photos and images available for download immediately when you sign up for your free membership. Their buying system is with credit packages starting at 6 credits for the smallest package or the pay-as-you-go buying option for one time purchasers. It is owned by Shutterstock, another leading stock photography agency that only offers subscription services. Check out this review of Bigstock and get more details about this credit and pay-as-you-go stock photo agency.